Tiktik Mobile App: The makers of the app Tiktik have tried to find a solution to this problem using data from TRAI.The telecom regulator releases a lot of data about networks, speeds, and connectivity, and finding the relevant information for your area and your network can be a challenge, but Tiktik automates the process so you can find the best network in your area. The free app, available on Android, requires a somewhat frightening number of permissions to run, including the ability to access your accounts, contacts, location, SMS, phone, read and modify files, access storage, device ID, full network access, and so on. SMS: to send toll-free SMS to protect you against spam callers & balance cuts.We receive SMS, don’t read them. We need this for the port, control SIM features. Phone: to dial and check my best offers for you. Photos: to instantly share app insights with your friends. We will not access your personal files. Identity & Device ID: to send a few important notifications (not ads) to your email ID. No spam guaranteed. Contacts & Call-Log: for the fun-insights. This feature works even on airplane mode, we don’t access any personal information. If you’re comfortable with the various permissions, then the app does actually work pretty well and is nicely designed too. When you start the app, you’ll see a list of languages to choose from – eight in total – including English, Hindi, and other Indian languages. The first screen after that is a simple and easy to decipher screen that shows you the various networks in your area (picked through location detection), based on the data published by TRAI. 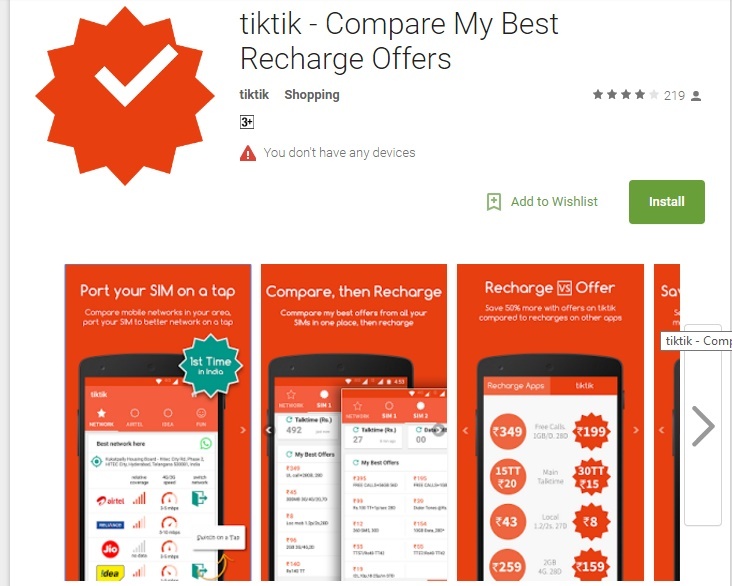 This is based on TRAI’s Myspeed app and that means there is fairly detailed data from around the country, particularly in urban areas.Tiktik is available as a free download on the Play Store.